Sarah Beth says: I hope everyone is staying warm and safe this week. 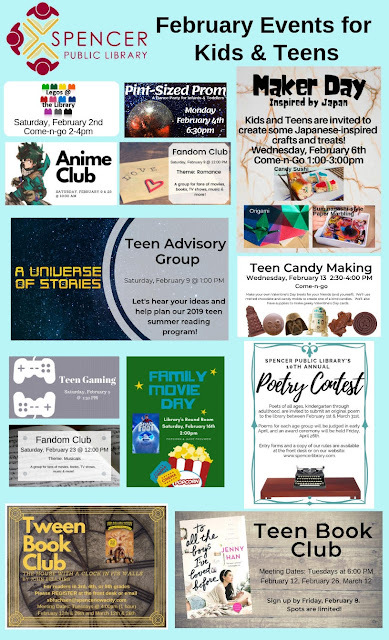 Here the newsletter highlighting the events for kids and teens in February. 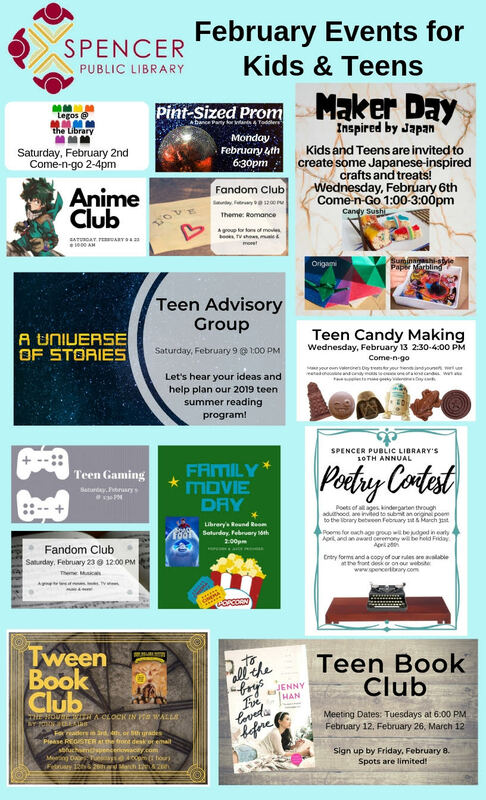 There is a lot of fun activities, including book clubs for tweens (3-5 grades) and teen (middle/high school).